The rain stopped early in the new year and although the roads are currently very dusty stock feed is still plentiful. Stock prices are starting to break records and Willow Springs was fortunate to sell cattle in February. Over 300 feral goats were rounded up and removed from the property this month, with the highest price coming in at $253 for a Billy. ​The start of the summer has had some good rains. The bush country to the East of the property looks very fresh and there is plenty of ground cover. Stock are in excellent conditions and prices are buoyant. 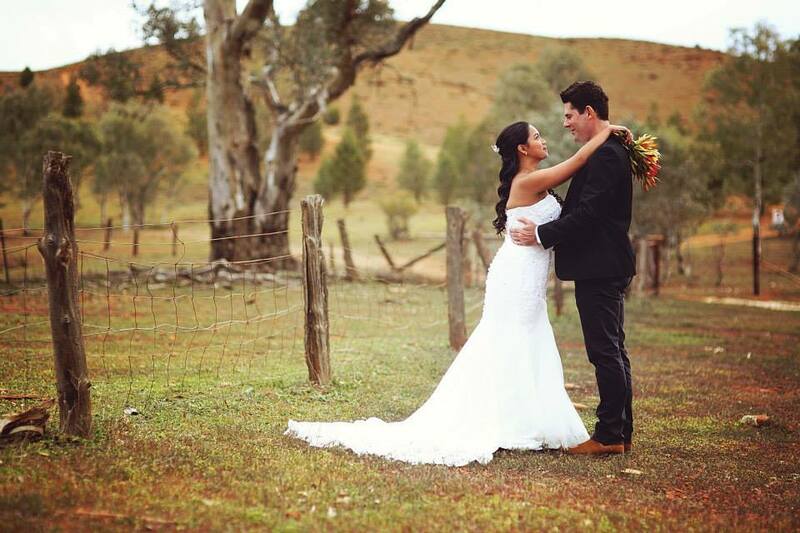 Everybody has had a break with Carmel and Brendan spending time on Kangaroo Island and in the Mt Gambier region. Congratulations to Carmel and Brendan on their 40th Wedding Anniversary. We were lucky enough to celebrate with a scrumptious platter of canapes and nibbles with great company and a stunning evening at Stokes Hill Lookout. ​We had all hands on deck at the start of this month to get ready for part two of our trial run shearing routine. The team joined us in the 3rd week of the month to shear approx. 5,000 sheep and unlike earlier in the year the weather was certainly a lot more pleasant. 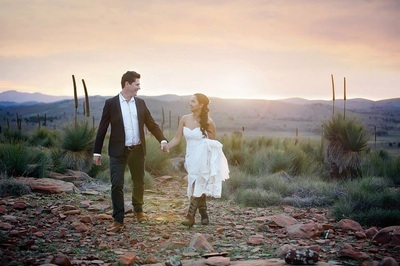 Christopher Reynolds (our son) & his partner Bridie, and Pete Caulfield (our youngest daughters partner) took control of the mustering whilst Brendan took a short break to visit family in Adelaide and Queensland. But of course it wouldn't haven't been as pleasant without the help of the grandchildren. It was a great week followed by a few well earned beers. 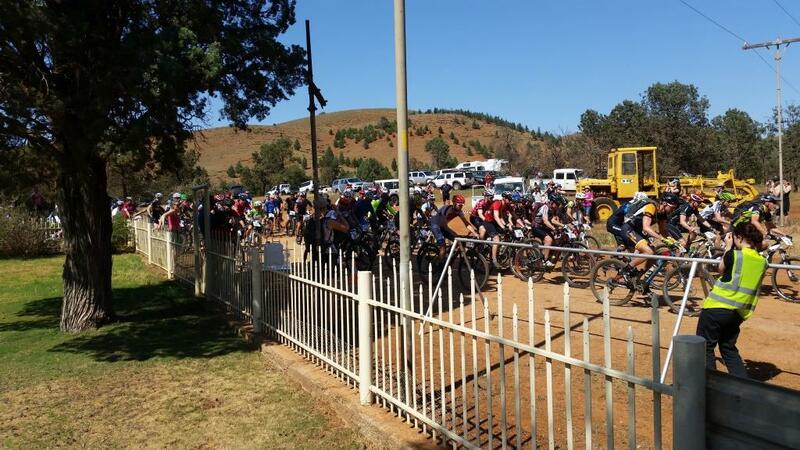 On the 22nd we had almost 100 mountain bike riders depart Willow Springs for the annual Flinders Ranges Outback Epic. 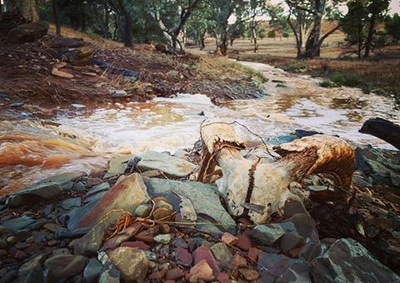 A total of 130 competitors for the event started their day out at scattered start points throughout the Flinders Ranges including ourselves, Rawnsley Park Station and Gum Creek Station. It was a great day and we owe a big thank you to our staff Peter & Sue Treglown who helped to make things run smoothly. In the meantime Michelle (our youngest) was in Adelaide exhibiting at the 2016 Adelaide 4WD Adventure Show. 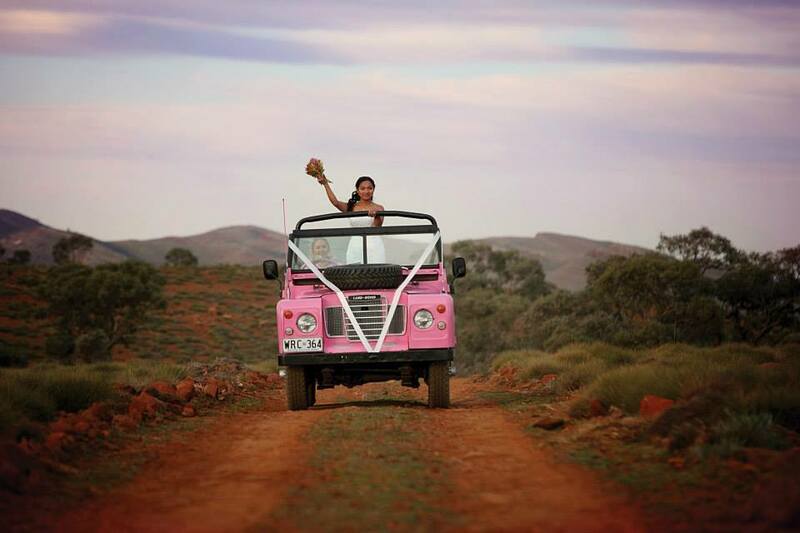 This show is a great way to expose Skytrek to those who haven't yet travelled to the Flinders Ranges and of course a brilliant opportunity to see whats new in the 4WD industry. After 3 busy days at the exhibition Michelle then flew out to Roma for the 2016 Australian Regional Tourism Network Convention. This 3 day event gave Michelle the opportunity to mingle with inspiring and enthusiastic operators within the tourism industry from Australia Wide. 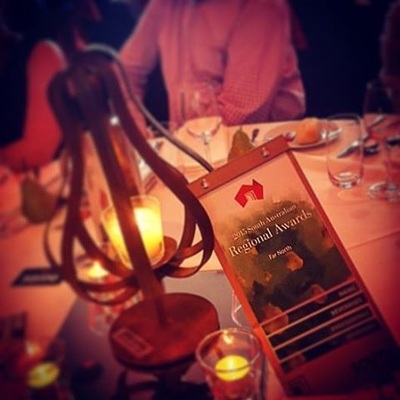 At the Gala event held on the last evening we were extremely excited to hear Michelle had been announced the Australian Regional Tourism Network Young Tourism Professional of the year - a great honour with brilliant opportunities for Michelle over the next 12 months. It is with great sadness that we celebrated the lives of our dear friends Rosemary & Greg Galatis and Caitlin & Willow Hamilton as they were tragically taken from us on the 17th April on their trip to Willow Springs. We will never forget their bright personality, caring nature and will always cherish our moments with them. It is with their support and hard work to assist us to make Willow Springs what it is today and we are reminded of this by the beautiful artwork (such as 'The Wing in the Willow') scattered around the property. Our thoughts and prayers are with Leanne, Paul, Hannah, Arthur, Jim and all those close to these angels looking down on us now. 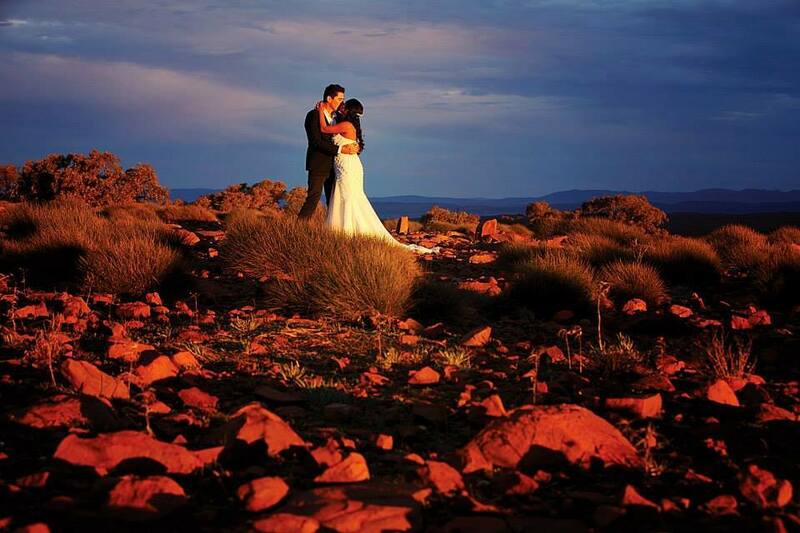 Their spirit will always live on at Willow Springs in the Flinders Ranges. Thank you to everyone who came to visit us this month at another successful year at the 2016 Adelaide Caravan and Camping Show. This exhibition is always a fantastic opportunity to raise awareness of the Flinders Ranges for domestic travellers and gives consumers the chance to ask questions face to face regarding their experience at Willow Springs Station. There were some great deals available at the show that even Carmel couldn't resist. After a couple of quiet months and spending some quality time with family and friends, we were back into it this month with a trial run of a new shearing routine. Normally Willow Springs shears annually in May, however over the next 2 years we are doing a trial run of shearing every 8 months - this should improve the quality and quantity of our wool production. Thanks to our great team this year who even stuck it out in the shed on Australia Day - they sure made it an unforgettable one. Things are quietening down here at Willow Springs as the weather warms up. We've used the opportunity to catch up in the office and take a few days off and head to the beach. 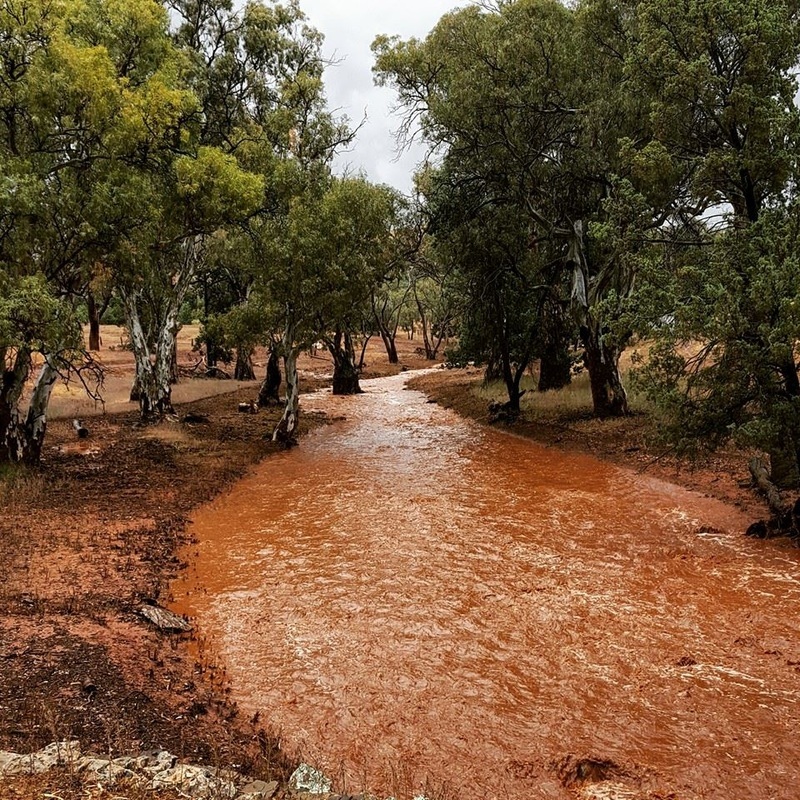 Earlier in the month we recorded 64mm of rain over 2 days with 2 floods roaring through the gum lined creeks throughout the property. Skytrek was closed for a few days while the water soaked into the ground and we got the grader and loader out to do some tidying up. We are now back up and running and welcome visitors over the summer season however recommend plenty of water. What a month! Willow Springs was buzzing this month with plenty of visitors seeking the end of the wildflowers and enjoying the last of the perfect weather before summer kicked in. 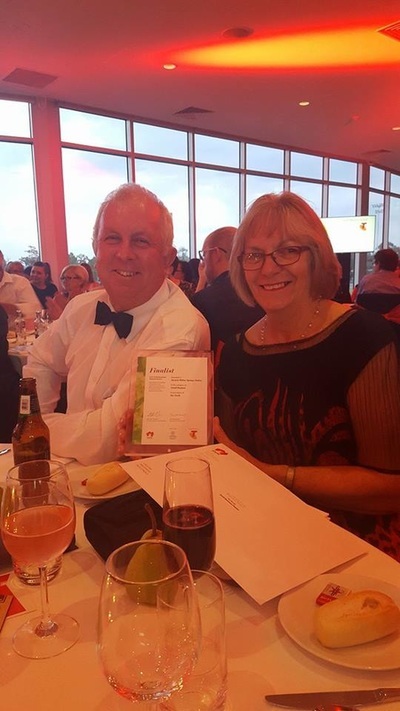 We attended the Brand SA 2015 Far North Regional Awards in Port Augusta at the beginning of the month and were overwhelmed to discover we were awarded a Finalist for the Small Business Award & a Winner for the Tourism Award. Our daughter Michelle also received a Finalist in the Community Individual Award & a Winner for the Emerging Leader Award. 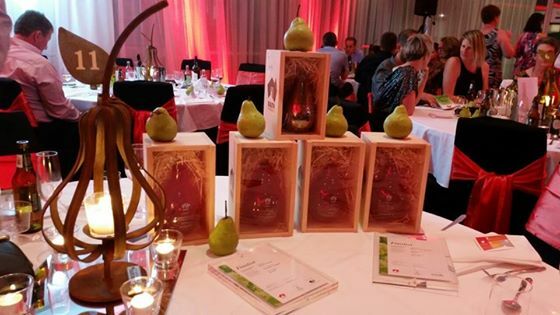 She was then inducted into the Hall of Fame as she has won 3 awards over the years for the Regional Awards. Later in the month our daughter Michelle and partner Pete exhibited on behalf of the business at the 4WD Adventure Show where plenty of potential customers showed interest in what the business has to offer. They were also pleased to see familiar faces of previous customers dropping in to say hello, particularly the young boy wearing one of our Skytrek Eagle Eye Children's T-Shirts. 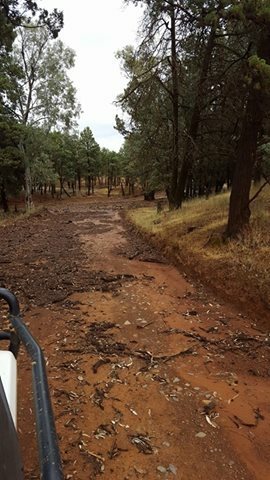 Whilst they were away we were busy on the property welcoming all the enthusiastic riders of the Flinders Ranges and Outback Epic. A total of 139 riders competed in the event, with 80 riders taking part in the 109km stretch departing here at Willow Springs. Well done to everyone who participated and we look forward seeing you all again next year. Overall, it was a busy but enjoyable month with many visitors and a great way to finish off the tourist season. The pessimists are still optimists with excellent ground cover that is now flowering and going to seed. Stock are in excellent condition and prices remain high. Tourism visitation rates are in record numbers for the region as weather conditions are almost perfect - warm days, cool nights, great weather and time to be visiting the Flinders Ranges. We had all the makings of a dry season upon us this month, getting only 4-6mm every time a rain band went through which was only getting the surface wet, no sub soil moisture. Warnings of an El-Nino event, cold blistery winds with no rain and an exceptionally high lambing percentage started making us pessimists. On the third weekend of August 13mm of rain was recorded then seven days later a soaking 58mm. With the ground soft and damp and with warmer months ahead of us it is proving to be the perfect source for a fantastic germination. Interest rates at a record low, the Australian Dollar moving in the right direction for us - it's safe to say the pessimists have turned into optimists. We were very excited to be awarded a Certificate of Excellence this month from Trip Advisor. Thankyou to all of our visitors who have had the time to leave a review on the Trip Advisor website for future travellers to get an understanding on what we offer. If you want to learn a bit more about us or wish to leave a review, visit our Trip Advisor page. After a recent stock up in souvenirs we decided to trial some new products. We are now also selling corrugated stubby holders, blue 'shearer's' singlets, kids kangaroo pens and sheep cubes, kids t-shirts and water bottles. We also received 15mm of rain. We are now Eco Certified for Nature Tourism through Ecotourism Australia. By achieving the Nature Tourism certification we have demonstrated that we are one of many exemplary operators in terms of ecological sustainability, natural area management and provision of quality ecotourism experiences with a commitment to climate change emissions reduction and adaptation strategies. The Shearer's Quarters has received a little tender loving care this month with serious maintenance being carried out on cornices and cracks. A fresh new paint job in the bathroom, 5 bedrooms and the common room has left the building sparkling ready for the year and even provided the opportunity for some bunk beds to be repainted and fitted with new mattresses. 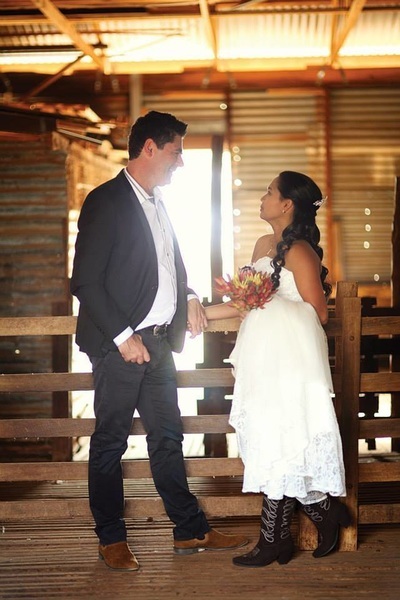 The business has also received Nature Tourism Accreditation by Ecotourism Australia for accommodation, camping, SKytrek and our guided 4WD tours. The 2015 Adelaide Caravan and Camping Show gave us the opportunity to get off the property for a week and carry out some marketing at the expo. Carmel and Brendan received positive feedback from previous visitors and said brochures were going like wildfire to possible future visitors. The region had 10 stands at the show this year supporting the many tourism operators providing products within the Flinders Ranges. We started the year out nicely with 116mm of rain over a 5 day period. The region is lovely and green and we are even seeing a few wildflowers making an appearance. Did you see the Australia Day liftout in the Advertiser this month? Our daughter Michelle Reynolds had a photo in there with our two granddaughters Maddison and Annalise laughing on the motorbike in the paddock, symbolising Australian moments. Another VIP visit this month. Thanks to Roothy and the LowRange crew for visiting Skytrek Willow Springs. It was great to have them here for a couple of nights. Don't forget to catch the upcoming season to see Skytrek featured on LowRange. 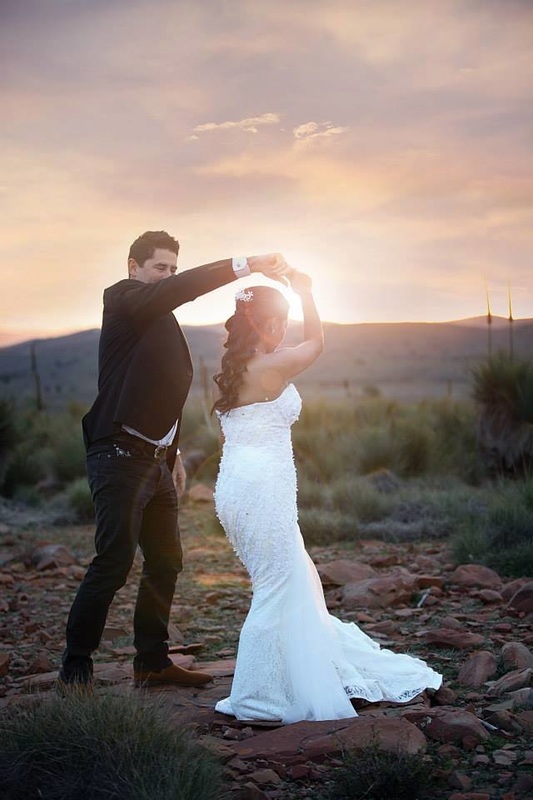 We were buzzing here at Willow Springs this month with plenty of excitement in the air. 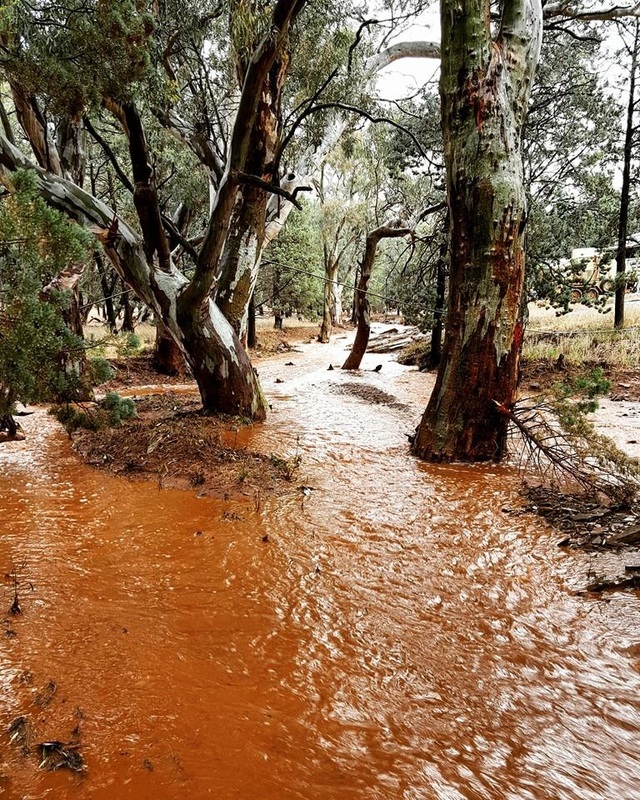 We were one of the 4 operators to host the Flinders Ranges Outback Epic Race - a 200km mountain bike race the way mother nature has prepared it on the Flinders Ranges by Bike Trail. Well done to all of those who competed. Did you catch us on the Offroad Adventure show? If not, check it out here. Finally we always feel so privileged as business owners when our customers feel that their stay at Willow Springs Station was the place to announce a very special time in their lives. Congratulations to Mel and Jeff on their recent engagement. Happy Birthday to Carmel and Brendan Reynolds this month who turned 60 years old and still wear cheeky grins like a teenager. They are a credit to operations here at Willow Springs. We were also very proud to receive a finalist award in the Tourism and Small Business awards at the Advantage SA Awards held in Roxby whilst our daughter Michelle received a finalist in the Community Individual award and won the Youth award. 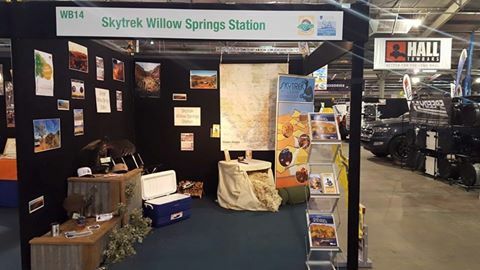 Did you catch us at the 4WD Adventure and Boating Show held at the Adelaide Showgrounds. We were situated in the Duncan gallery accompanied by Rawnsley Park Station and Bendleby Ranges. Another busy month here at Willow Springs. 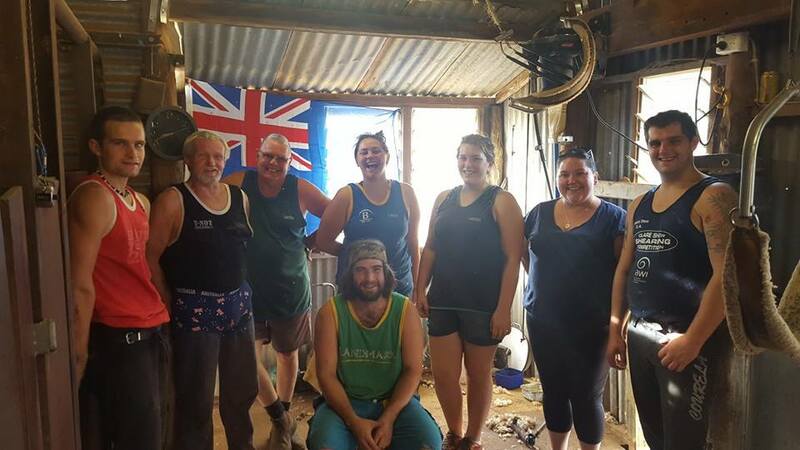 The men have been hard at it shearing the rams before the school holiday madness hit and we had a visit from the famous Rick O'Brien and Jamie Hazelden who gave us some great 4WD tips whilst conquering Skytrek. Two new additions to the Skytrek Willow Springs team this month after anther productive shearing week. 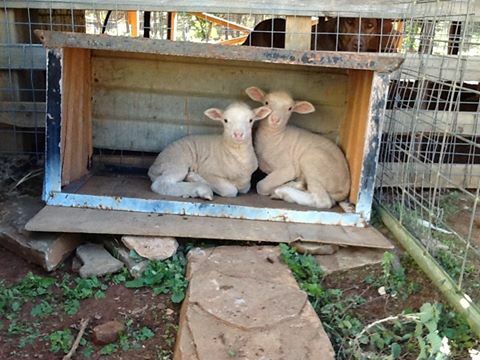 Meet Annie and Oliver, two beautiful orphaned lambs that we were lucky enough to save. We were also lucky enough to host Red Track Australie 2014 as they filmed around Skytrek. The clip is in French but shows our daughter Michelle talking the group through their experience for the day. Out section starts at 11mins. Have you seen the April issue of the Overlander 4WD magazine? There is a brilliant 7 page write up on our 'new' Skytrek with great detail and explains what else is available on the property - a big thankyou to Vid Widman of Great Divide Tours for such a fantastic story.